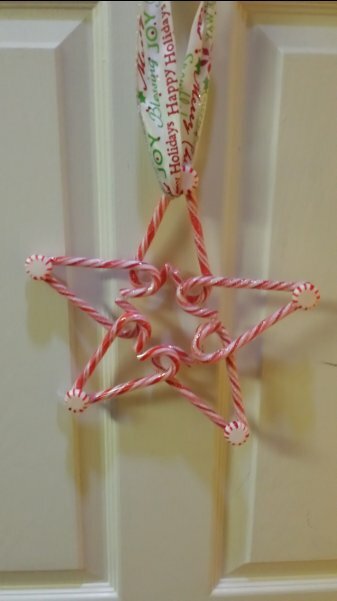 I love the way this wreath forms a star. 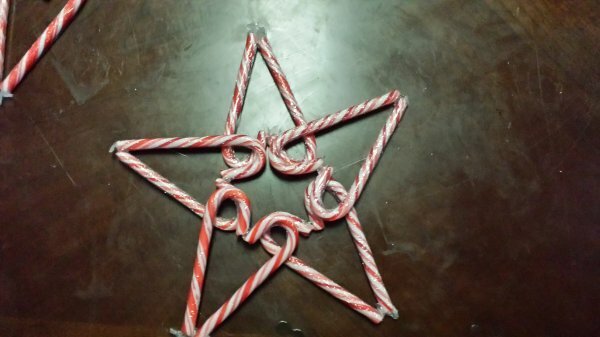 All you need are 10 candy canes, 5 peppermint mints, some ribbon, and a hot glue gun. 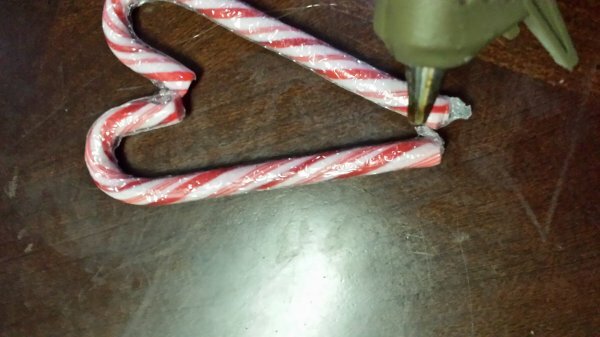 Start off by gluing two candy canes together to form a heart, using a dab of glue at each of the two points where the candy canes meet. Repeat until you have 5 hearts. 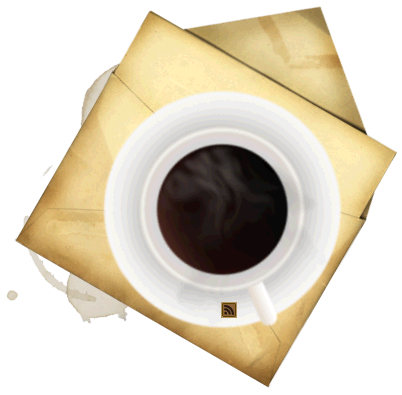 Shape the hearts into a star following the visual below. You form a star into the center of the larger star – I love that. Hot glue the star together. 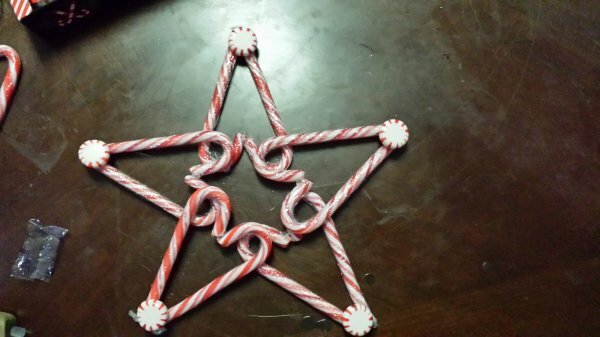 Hot glue the mints to the tips of the star. Add a large ribbon by which to hang the wreath.